Great weather for baked fruit desserts! 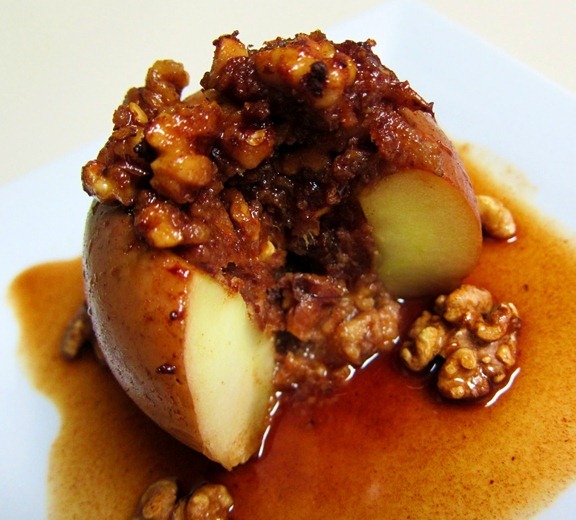 One of my favorites is stuffed apples. 1) Core the apples, and scoop out more of the top so more filling can go in. 2) Mix remaining ingredients (except jam) and stuff apples with the mix. Preheat oven to 350. Place some of the apricot jam on top of each apple. Pour the apple juice in the pan. 3) Bake about 35 minutes, or until soft when priced with a sharp knife.